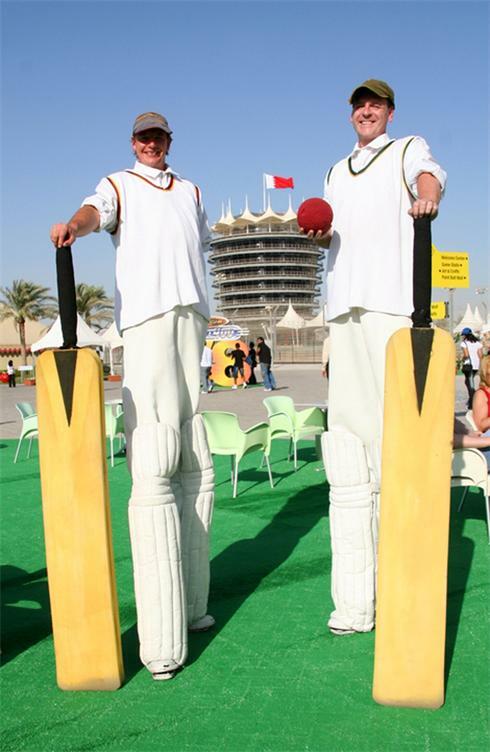 Commissioned for the Scarborough Cricket Festival, the stilt cricketers have been entertaining audiences for well over a decade during which time they have brought their good will tour to events all over the world. These Giants of cricket have been to Lords and the Oval but are just as happy at a village cricket club or a town centre. From being one of a select handful of performers entertaining on new year’s eve 1999 at the Millennium Dome to touring in the West Indies (hard work but someone has to do it) we have even been given “out” by Dickie Bird. 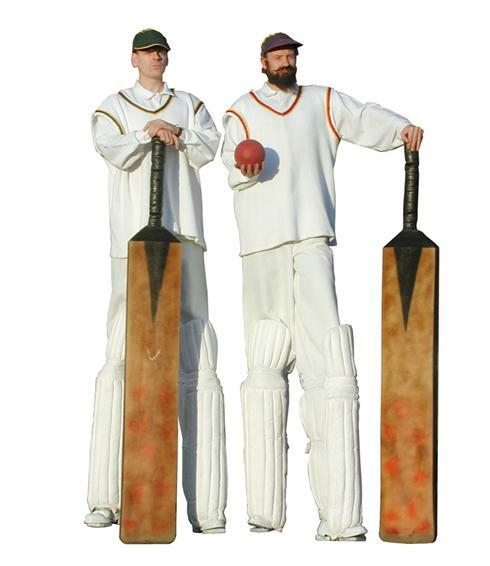 The two batsmen with outsized bats and ball not only enjoy friendly sledging of one and all, they really play – take a bowl – give it your best shot and join the thousands who have been knocked all over the ground! 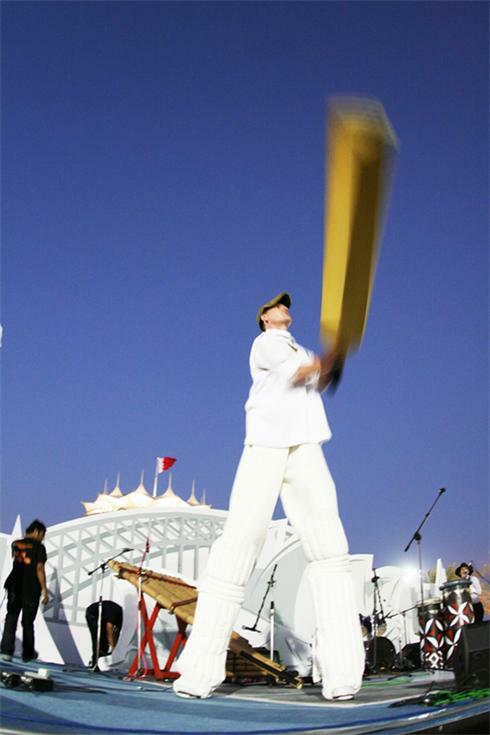 The bats and costumes can have sponsor’s logos added for promotional events – you can even commission a full replica uniform as we did for the Pakistan one day strip.